(Please see the addition to this post - Seven Seas on your iPhone). Wed June 8th we’re all celebrating World Oceans Day, what the oceans provide us, seafood, marine life, and the ever important kelp at the heart of Crème de la Mer. In honor, La Mer has donated $200,000.00 to Oceana (not affected by sales), who is the largest international organization working solely to protect the world’s oceans. La Mer has released a limited edition ocean inspired commemorative glossy box with 3.4oz Crème, be sure to get yours before it is sold out! SOLD OUT. 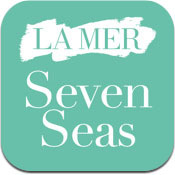 La Mer presents Seven Seas Sound Mix by Soundwalk, which is available complimentary for your iPad. Journey with seven remarkable people focusing on ocean sustainability, awareness and the infinite beauty of the sea. View online or Download on ITunes. 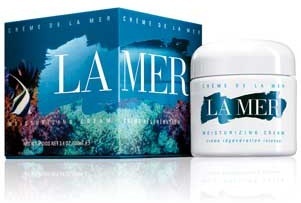 Watch all videos from the La Mer Seven Seas campaign in the My Crème de la Mer YouTube playlist.